Attorney Barry McKee is a veteran, a former prosecutor, and an experienced criminal defense attorney. He has successfully defended clients in over 2500 criminal cases. He accepts new clients with cases in Washington, Dakota, and Chisago Counties where he has practiced for 34 years and where he is familiar with the system, the judges, and has built relationships with the prosecutors. In addition to working as a prosecutor in Washington County, Mr. McKee has taught law on the graduate level at the University of St. Thomas, been a judicial candidate, and contributing author to the U.S. Legal Encyclopedia. Mr. McKee has instructed other attorneys. He also has completed numerous advanced legal education workshops and seminars dealing with criminal defense tactics and procedures. Mr. McKee has successfully defended criminal clients in both Wisconsin and Minnesota state courts, in federal court, and at the appellate level. He has represented thousands of criminal defendants charged with misdemeanors, gross misdemeanors, and felonies. 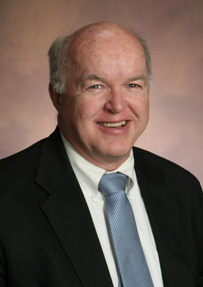 A graduate of the University of Minnesota in 1967, Mr. McKee received his Juris Doctor Degree from William Mitchell College of Law in 1975, and an MBA from the University of St. Thomas in 1982. McKee clerked for the Honorable Kenneth Fitzpatrick before accepting a position in the Washington County Attorney’s office, where he prosecuted criminal cases. Mr. McKee left the County Attorney’s office to pursue his passion by establishing McKee & Associates Law Firm. Barry McKee, Jr. practices in the areas of criminal defense, estate planning, personal injury, and business law. Barry Jr. graduated from Hamline University School of Law in 2005, was admitted to the Wisconsin and Minnesota State Bar, and is a partner with McKee & Associates. Prior to becoming partner, Barry Jr. was an associate with McKee & Associates, worked for the Minnesota Journal of Law & Politics, and Litigation Support Services. Barry Jr. enjoys helping clients navigate through the complexities of the justice system. His main objective is to protect his clients’ rights in negotiations and, if necessary, through trial and appeal. He takes pride knowing that he has helped all kinds of people get their lives back on track. A hard-working, ethical advocate, Barry Jr. is licensed to practice in Minnesota and Wisconsin. A native of the Stillwater, Barry Jr. lives in Minneapolis. He is rapidly becoming an avid outdoorsman and twins fan.